Capacity: 30ml. Main ingredient:Ginseng, ginger, polygonum multiflorum, angelica. Usage: add 3ml hair growth essence into 100ml shampoo and stir evenly. 1 x Ginger Hair Growth Serum. Function: fast hair growth. Capacity: 30ml. Main ingredient:Ginseng, ginger, polygonum multiflorum, angelica. 1 x Ginger Hair Growth Serum. 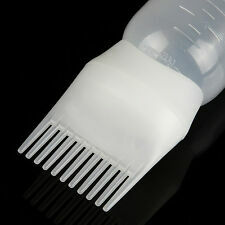 Usage: add 3ml hair growth essence into 100ml shampoo and stir evenly. Hair Type:All hair types. 3, raise hair, make hair more smooth. 2, dense hair, issuance, prevent hair loss, let the hair follicles to grow new hair root! Product ingredients: ginger, ginseng, los card section, fleece-flower root, grape seed oil, the flowers and plants and other natural herbal ingredients. 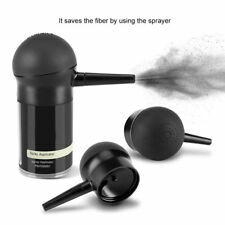 Using the sprayer makes it easier to disperse the fibers uniformly. - The spray applicator atomizador is especially designed for precisingly apply the fibers into thining areas. - It is ideal for the front hairline, especially in conjunction with the hairline optimizer comb. Ingredient: Ginseng, Ginger, Polygonum, Angelica. Efficacy: increase hair, scalp nutrition, hair growth, prevent hair loss. 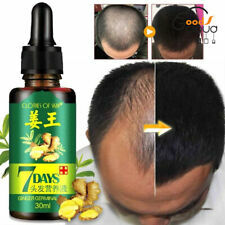 Drop this product on the hair loss area or where hair growth is needed. Place it on the scalp as much as possible. Technology: Handmade Combs. Material: Green Sandalwood. Color: Natural Wood. Brown lotus wood Natural Boar Bristle Comb. Material: Boar Bristle. 1 Hair Comb Brush. Perfectly used to comb your hair evenly in daily life. Lightweight and compact, easy to carry around. The real color of the item may be slightly different from the pictures shown on website caused by many factors such as brightness of your monitor and light brightness. 1x Hair Growth Essence. For each 100ml shampoo, add 3ml of essence, mix well and wash your hair. The main effect of this product is rapidly growing more hair on the help of a human hair. Wash your hair and apply a small amount to the scalp when your hair is almost dry. This hair brush teeth is smooth to disentangle your hair, the scales on the bottles is convenient to know how much hair dye you have filled. Capacity: 80ml. 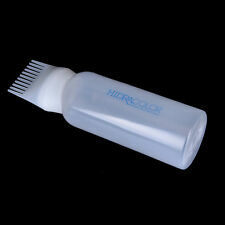 Simply fill the dye bottle with your color and press the pump handle to get the dye coming through the comb head. Application: Dry cleaning bottle, dry pot shampoo bottle, washing bottle, Dishuihu shampoo bottle, irrigation comb irrigation bottle, poured hot hair dry cleaning bottle, filling bottle. Simply fill the dye bottle with your pre-mixed hair color and use the pump action handle to get the dye flowing through the comb head. 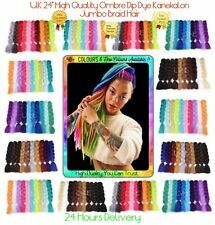 This Product Is Disposable Hair Wax Which Suitable For People Who Likes Dying Hair With Different Colors. 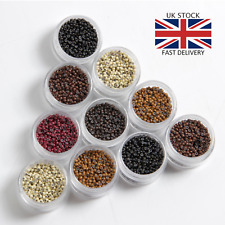 Disposable Hair Wax Which Suitable For People Who Likes Dying Hair With Different Colors. Item Type: Hair Wax. 5 pairs/set Soft Eyelash Extension Kit Makeup Real Fake Natural False Eyelashes. 3D Mink Handmade False Eyelash Makeup Natural Long Eyelashes Extension 3pair/Set. Sponge circular motion around the head;. 100 % ORGANIC NATURAL HENNA POWDER (HOME MADE) FOR HAIR CARE!! 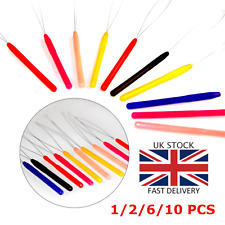 free ship UK !!!! Application: Dry cleaning bottle, dry pot shampoo bottle, washing bottle, Dishuihu shampoo bottle, irrigation comb irrigation bottle, poured hot hair dry cleaning bottle, filling bottle. This applicator doe not have holes at the "tip neither at each brush strand, it does have at the bottom of the plastic base that holds the strands 1 hole. 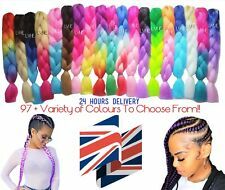 Hair Colouring Set - 3 Piece. PARTY & GIFT. WE'RE HERE TO HELP! We'll get back to you as soon as possible! Dedicated Support. New arrivals. United Kingdom. Grays, Essex.